The battle for Android smartphones with good specs and lower prices has just heated up with the release of the Asus ZenFone 2.
now, but currently as of publishing there is a 3-4 week delay. We are waiting for our review unit. However, based on reviews by Tech Radar, the ZenFone 2 received negative marks for: cheap look and feel, dull screen brightness, poor camera quality and a weak power button. At the same token, the 16GB version is $99 cheaper than the OnePlus One. 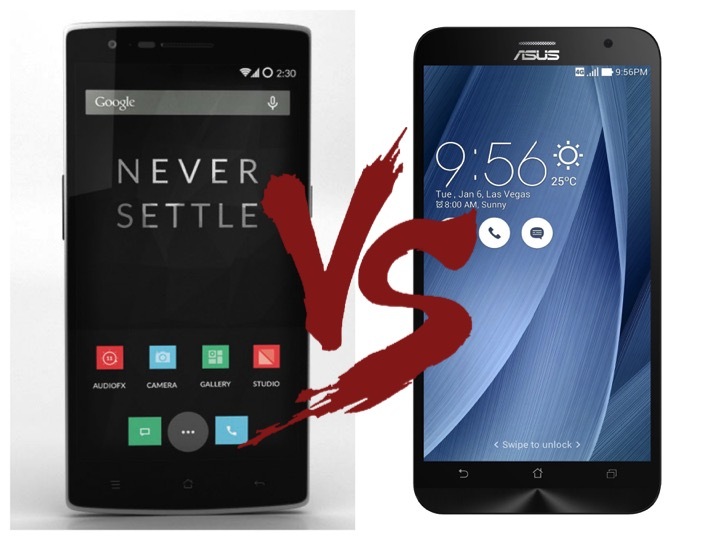 If price is a concern, the 16GB ASUS ZenFone 2 looks like a great deal and if price isn’t as much of a concern the 64GB OnePlus One might be the one for you.